"LK Advani sat in the same chair you are now sitting on," Mukhtar Ahmed, the bespectacled Kashmiri proprietor of Paradise Arts and Crafts, which sells semi-precious stones, jewellery and handicrafts, tells me in the course of our conversation. Ahmed has been running the shop situated on the main road in Puttaparthi and a stone's throw away from the ashram of the late godman Sathya Sai Baba, for over 25 years. But he is now waiting for the day when he can pack up and relocate. Before April 24 2011, the day Sai Baba died, pilgrims from all over the world used to throng Puttaparthi. They came in the hope of getting darshan or at least a glimpse of the saffron-robed figure responsible for converting the dusty village in Andhra Pradesh into a town with a superspecialty hospital, airstrip, railway station, university and excellent roads. The devotees fuelled the businesses of dozens of people like Ahmed, who used to run four shops in town, enjoy monthly sales of Rs 6 lakh from the jewellery and handicrafts shop alone and have personalities like Advani and Goldie Hawn dropping in (a photo of Ahmed with the Hollywood actor hangs above the counter). Those days now seem a distant memory. Ahmed says his shops, two of which he has already closed, now receive only 10 per cent of the customers they used to, and sales are down to some thousands a month. After the summer months, sales used to pick up in June but now it's already July and this is the state of affairs, he says, pointing to the nearly empty street outside. The Kashmiri traders would be the first to leave if business was bad, I had been told on my previous visit to the town in arid Anantpur district a week after Sai Baba's death. And sure enough, Ahmed confirms that of the 125 Kashmiri-run shops two years ago, only 77 remain. Ahmed, not being a devotee, does not feel the need to mince words, but others in the town, many of whom are believers dressed in the trademark white-and-white, try to paint a more optimistic picture. 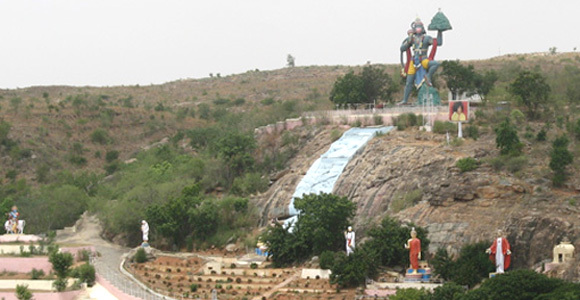 The popular refrain is that even after 'Swami's' death, people are still coming to Puttaparthi but instead of staying for weeks and months, now return after a couple of days, especially if they are Indian visitors. To be sure, the air of uncertainty that enveloped the town in the immediate aftermath of Sai Baba's death has given way to resignation and even hope among the faithful that better days are ahead. 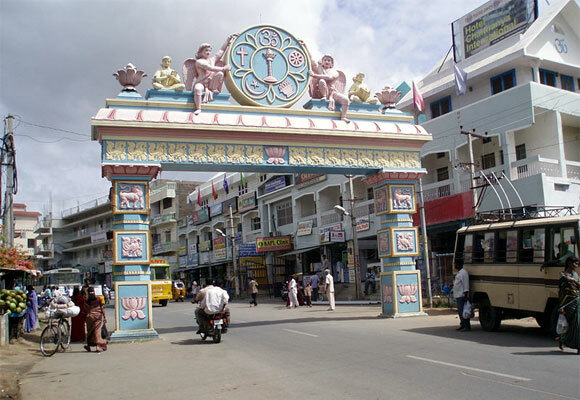 But even so, the fall in visitors has taken a heavy toll on Puttaparthi's various businesses. Among the worst affected is the hospitality sector. 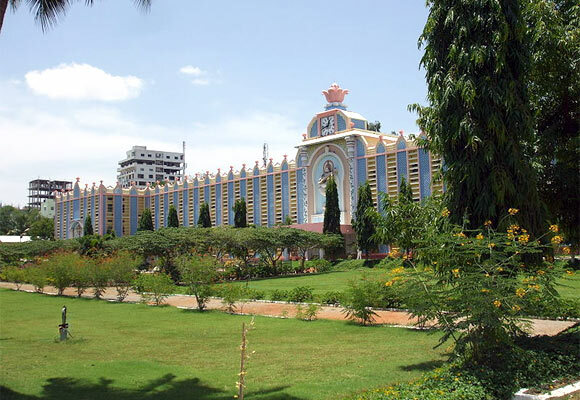 CH Janaki Ram, a long-time devotee of Sai Baba, opened Hotel Sai Paradise near the main entrance to Prasanthi Nilayam (as the ashram is called) in December 2010. Up till the following March, the 29-room hotel enjoyed occupancy of 90 per cent. Ram had invested Rs 3.5 crore in the hotel and with business booming, he hoped to recover it over a couple of years. After Sai Baba's death, though, occupancy plummeted to as low as 20 per cent. The hotel manager, M Shaffy, says after the nadir of 2011 and 2012, occupancy had now climbed to 50 per cent but the revenue is still only enough to cover salaries and maintenance expenses. "We have reduced rates by 20 per cent and even then, devotees bargain aggressively for discounts. Earlier, we could ask them to take it or leave it," says Shaffy. With devotees thinning, it has also become easier to get accommodation at the ashram, which further eats into the revenue of hotels. At Sai Maa Hotel, up the road from Prasanthi Nilayam, manager Ramesh Acharya says occupancy continues to be in the 30 per cent range, while at Hanuman's Hill Rock Cafe, popular with foreigners because of its continental fare and decor, manager Upamanyu Sharma says sales have halved from the Rs 15-20 lakh the restaurant used to earn a month. Even worse hit is the real estate sector. At the time of Sai Baba's death, there were some 300 apartments in Puttaparthi, around 60 of which were under construction. Some developers were banking on the hordes expected for the 90th birthday celebrations of Sai Baba to make a killing (he had reportedly predicted he would die at 96, though the end came a good 12 years before that), while others were hoping to cash in on the existing influx of visitors. 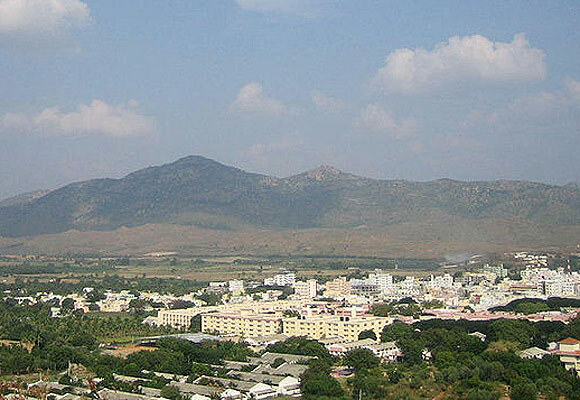 At his office in nearby Bokkapatnam, Vekateshu Reddy, the sub-registrar, says revenue from property registrations, which includes transactions in Puttaparthi, has been declining steadily since 2011, from Rs 5.6 crore in the year ending March 2011 to Rs 3.9 crore in 2012-13. 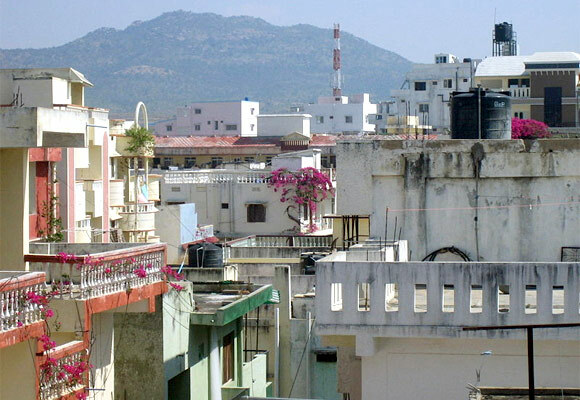 There are hardly any registrations of new properties from Puttaparthi now, he says. Nobody has started new projects, confirms CH Saikrishna, proprietor of Sai Leela Developers. Saikrishna has managed to sell 28 of the 30 apartments he was left with in 2011 but adds that most were not that fortunate. Much of the construction in the town bypassed regulations, which also means they were not eligible for funding from banks. Unable to repay the loans they took at high interest from private financiers, many developers have also been forced to leave town, says Saikrishna. "I'm not planning any new development till the market picks up," he adds. Suresh Kogira, who along with his father manages Sai Suri Builders and Developers, says some developers had been forced to slash prices from Rs 1,400-1,600 a square foot to Rs 700-800 a square foot under pressure from financiers. Kogira, however, is optimistic that the market will recover and plans to launch a project later this year. "But we've had to scale down our expectations." Ancillary industries, such as hardware, paint and sanitaryware shops have also been affected. Shiva Reddy, proprietor of Sri Vijaya Sai Agencies, says monthly sales had dipped to Rs 1 lakh in 2011 from Rs 3-4 lakh a year ago. Things have now started looking up with sales climbing to Rs 2 lakh a month. "But now my customers are individuals who bargain hard, whereas earlier, I used to sell in bulk to realty developers," says Reddy. To stay afloat, entrepreneurs have been forced to cut costs by letting go of employees. Manidas, the proprietor of Geetha Stores strategically situated right opposite the ashram entrance, says he now employs four people instead of eight. And he runs his taxi service with two cars instead of three. "Things started improving from last June but the people coming now are those who've been devotees for a long time," he says. In the local branch of a public sector bank, a manager says defaults have been on the rise. Pointing to a customer outside his cabin, he says: "He took a loan from the bank and he has Rs 1.5 lakh outstanding but the value of his vehicle is now just Rs 50,000. So we're trying to work out some sort of compromise." The bank, he says, granted 70 three-wheeler loans in two years. Loan sanctions have dipped to a couple a month from 8 to 10 two years ago. "In deposits, we are in decline," he adds. The manager of another public sector bank says daily transactions have now dipped by around 30 per cent. It is not just outside the ashram that there have been palpable changes. While going around the campus that houses temples, accommodation for visitors, a supermarket and the samadhi at Kulwant Hall, a devotee mentions that earlier, the crowds at Kulwant Hall at this time would have made walking difficult. 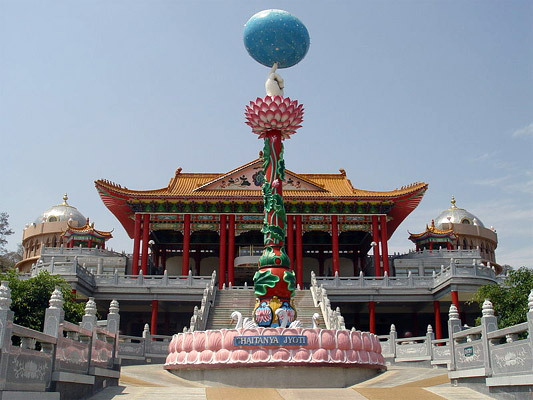 Agreeing that there might be a dip in the number of devotees, A Anantharaman, the media coordinator of Sri Sathya Sai Central Trust, adds that the dip has not been significant to the extent that volunteer services have been hampered. The biggest change, perhaps, has been in the administration of the trust itself, which supervises the functioning of the hospitals, university, schools and other charitable initiatives. The trust, to which all eyes had turned after Sai Baba's demise, has started publishing annual reports detailing its various activities, revenue and expenditure. "After Swami left his physical form, we felt we needed to run the trust like a corporation, to address issues of compliance and transparency," says Anantharaman. According to the latest financial statement, the revenue for 2011-12 was Rs 200 crore, of which Rs 82 crore came from donations. The balance sheet showed the trust has funds to the tune of Rs 1,508 crore. "All the assets of the trust are used for charitable purposes and earn no revenue. Neither are they transferable. So talking about asset value is meaningless," says Anantharaman, dismissing the various estimates of the trust's assets that had appeared in the media in April 2011. 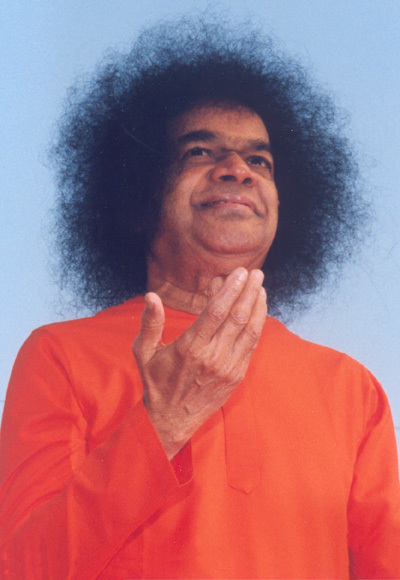 Defending the revelation about the gold, jewels and cash discovered in Sai Baba's room when it was broken open, Anantharaman says none of it had any value to the godman. "The trust has taken an inventory of everything in the presence of bank and government officials, deposited the valuables in the bank and paid income tax on it," he says. None of the charitable activities, he adds, has been scaled back and they were now planning to constitute a fund to rehabilitate those who suffered in the Uttarakhand floods. It's also business as usual at the sprawling pink and white edifice in Puttaparthi that is one of the two superspecialty charitable hospitals commissioned by Sai Baba, according to its director, Choudary Voleti. The 300-bed hospital, like its 333-bed counterpart in Whitefield in Bangalore, provides free treatment to all patients. According to the trust's annual report, the hospitals performed 23,221 surgeries in 2011-12 and treated 640,000 patients. Dr Voleti, who took charge as director last September, says there have been no cutbacks of any kind. "The trust has been very understanding. Once, they released Rs 17 crore in a single day for the hospital," he says. The hospital is now laying the groundwork to seek accreditation from NABH (National Accreditation Board for Hospitals & Healthcare Providers, an arm of the Quality Council of India). "People should not think the facilities are substandard just because treatment is free," he says. 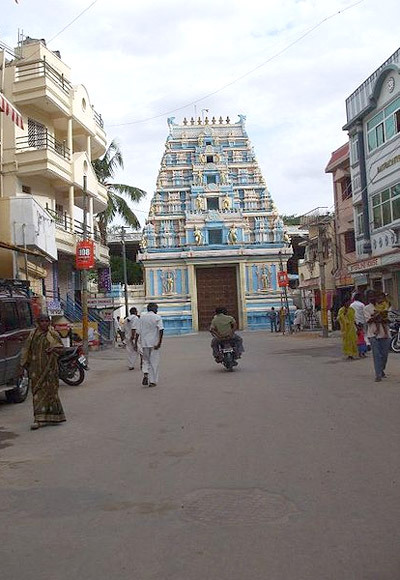 For now, devotees are holding on to the belief that Puttaparthi will become like Tirupati or Shirdi (except better, apparently, because neither has charitable hospitals or schools). The town has indeed managed to survive the immediate fallout of Sai Baba's death, though not unscathed. But whether the boom time of yore will return looks doubtful. As Anantharaman says "We have to wait and see, how things evolve."